New June 2017 calendar bearing the photos of Queen Jetsun Pema of Bhutan and her young son Prince Jigme Namgyel Wangchuck (The Gyalsey) was published. 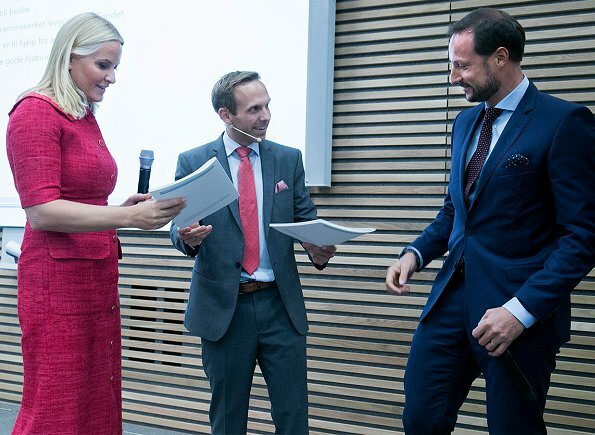 Crown Prince Haakon and Crown Princess Mette-Marit attended the presentation of a new socio-economic analysis of the projects supported by The Crown Prince and Crown Princess' Foundation. Crown Prince Haakon and Crown Princess Mette Marit’s Foundation focuses on youth and young people who, for various reasons, risk being left on the outside of the community. 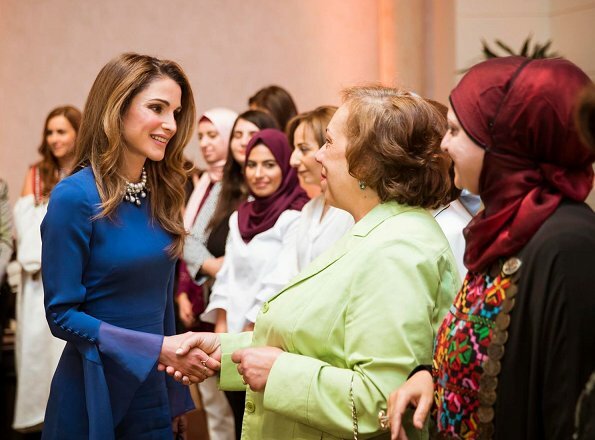 Yesterday, on May 30, 2017, Queen Rania of Jordan hosted an iftar banquet at Raghadan Palace for Jordanian women who are active in the fields of education, civil society, and media. The Queen wore Prabal Gurung Bell-Sleeve Silk Midi Dress. 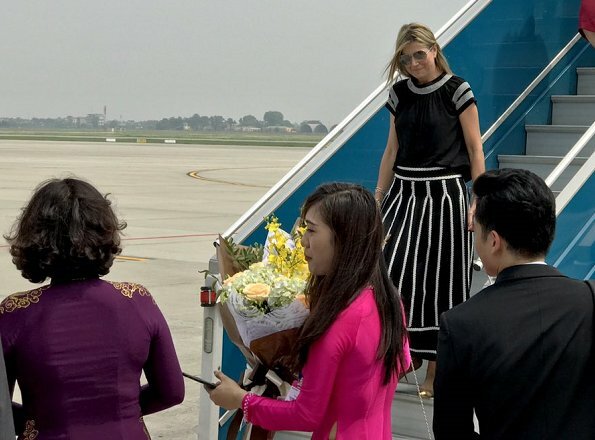 On the second day of Queen Maxima's visit to Vietnam, the Queen arrived in Hanoi city of Vietnam and attended a meeting at the International Finance Corporation (IFC) in Hanoi. 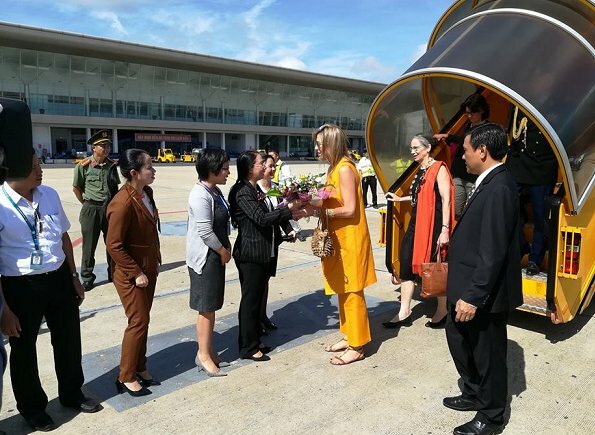 Queen Maxima is in Vietnam for a 3-day visit in her capacity as United Nation's Secretary-Generals Special Advocate for Inclusive Finance for Development. 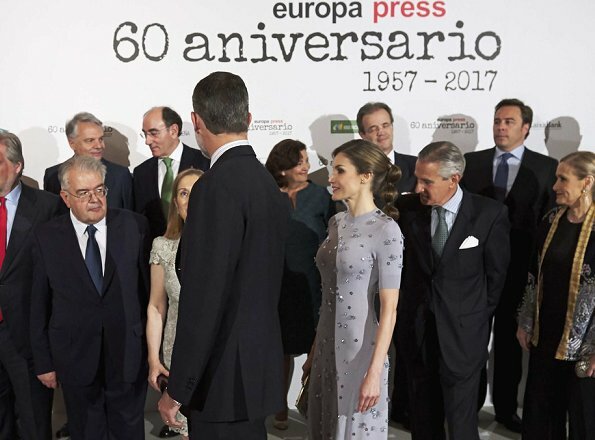 On May 30, 2017, King Felipe of Spain and Queen Letizia of Spain attend the Europa Press news agency 60th Anniversary at the Villa Magna Hotel in Madrid, Spain. Europa Press is a Spanish independent, privately held news agency published in spanish, established in Madrid in 1957. 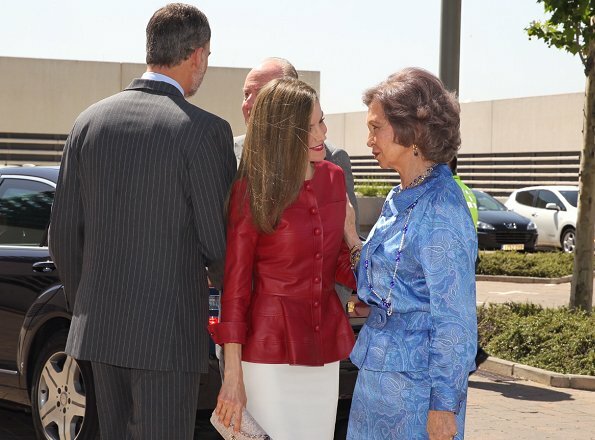 Queen Letizia wore Nina Ricci Dress. 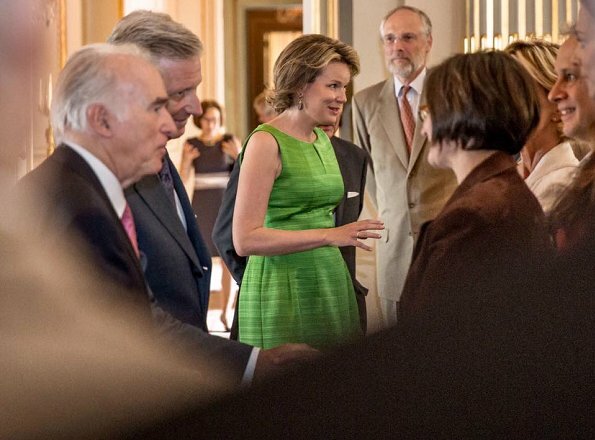 On May 30, 2017, King Philippe and Queen Mathilde of Belgium held a lunch at Royal Palace in Brussels for the jury members of the Queen Elisabeth Cello Competition 2017. 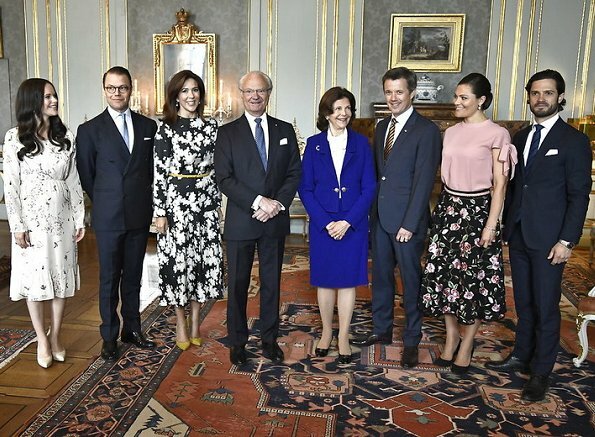 On the second day of their Sweden visit, Crown Prince Frederik and Crown Princess Mary made a series of visits in Stockholm. 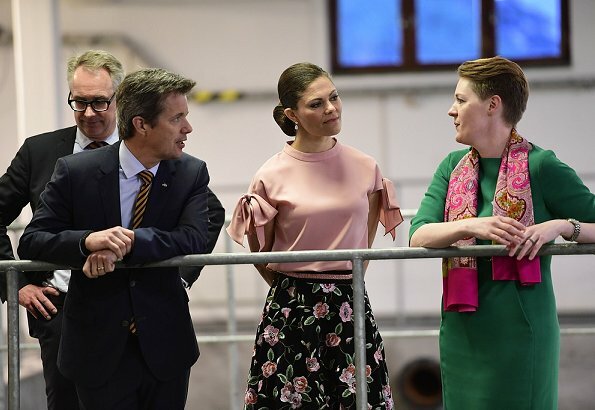 Crown Prince Frederik of Denmark and Crown Princess Victoria of Sweden visited Stockholm Lovön water treatment plant. 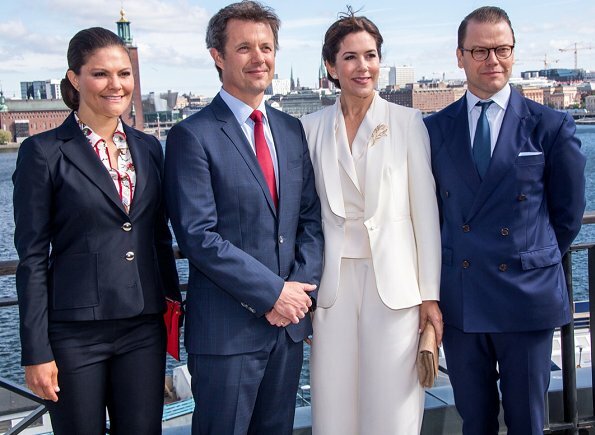 Crown Princess Mary of Denmark and Prince Daniel of Sweden visit Karolinska University Hospital in Stockholm. Afterwards, Crown Princess Mary and Crown Princess Victoria visited Illums Bolighus store in Stockholm. On the first day of Queen Maxima's visit to Vietnam, the Queen visited farm of Xuan Toan in Da Lat, Vietnam. The farm is supported by the Horti Dalat program that helps farmers with the growth of their business. 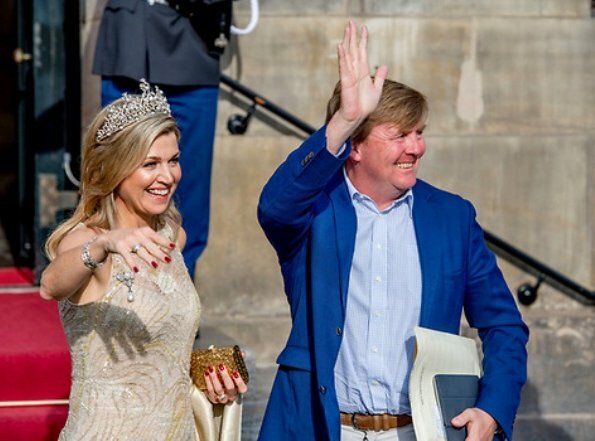 Queen Maxima is in Vietnam for an three day visit in her capacity as United Nation's Secretary-Generals Special Advocate for Inclusive Finance for Development. 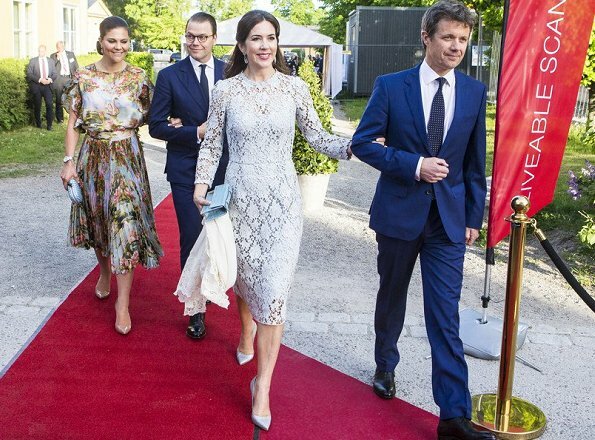 On May 29, 2017, Crown Prince Frederik and Crown Princess Mary of Denmark, Crown Princess Victoria and Prince Daniel of Sweden attended a official dinner held on the occasion of the event "Liveable Scandinavia" at the Eric Ericson Hall in Stockholm. 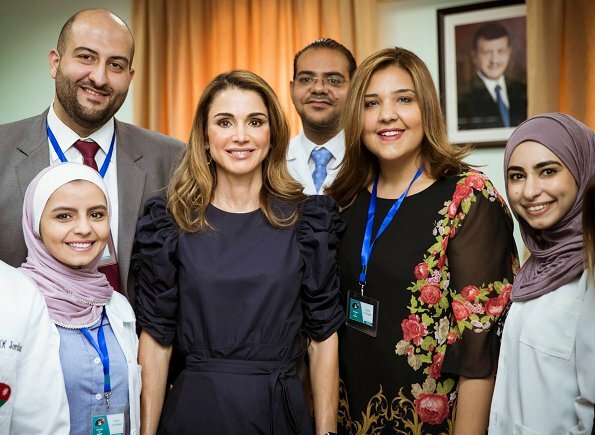 Queen Rania visited the Open Free Medical Day event at Zai in Al Balqa’ Governorate, to discuss the group’s volunteering efforts. Doctors of Jordan is a volunteer group that aims to organize open free medical days on a weekly or monthly basis across Jordan, as well as provide healthcare services to all those who cannot afford them. On May 29, 2017, Crown Prince Haakon and Crown Princess Mette-Marit attended the opening of the Blue Cross children's station (Barnas Stasjon, Blå Kors) in Oslo. A local charity, Barnas stasjon is operating a community center for vulnerable and exposed children and their parents. Blue Cross is a international organization working in the field of treatment and prevention of alcohol and drug problems. 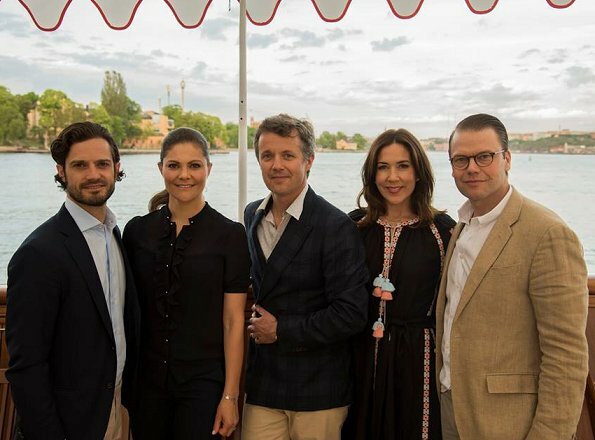 On the first day of their Sweden visit, Crown Princess Mary and Crown Prince Frederik, together with Crown Princess Victoria and Prince Daniel attended the opening of "Liveable Scandinavia" at Münchenbryggeriet (The Munich Brewery) in Stockholm. Crown Prince Frederik gave an opening speech in the business promotion. On May 27, on the eve of the 75th Monaco Grand Prix Formula 1, Prince Albert and Princess Charlene of Monaco held a reception at the Principality Palace in Monaco. Prince Albert and his wife Princess Charlene of Monaco, Pierre Casiraghi and his wife Beatrice Borromeo, Andrea Casiraghi and his wife Tatiana Santo Domingo and their children Sasha and India attend the Monaco Formula 1 Grand Prix at the Monaco street circuit on May 28, 2017 in Monaco. 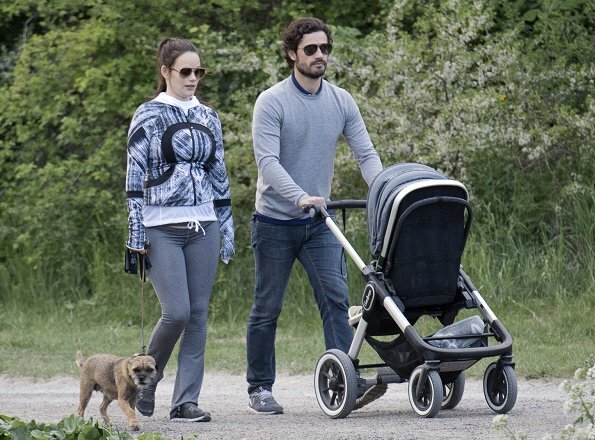 Prince Carl Philip and Princess Sofia of Sweden were photographed while they were walking around Villa Solbacken (literally Villa Sunny Hill) in Djurgården with their son Prince Alexander and these photos were published in Expressen on May 27. 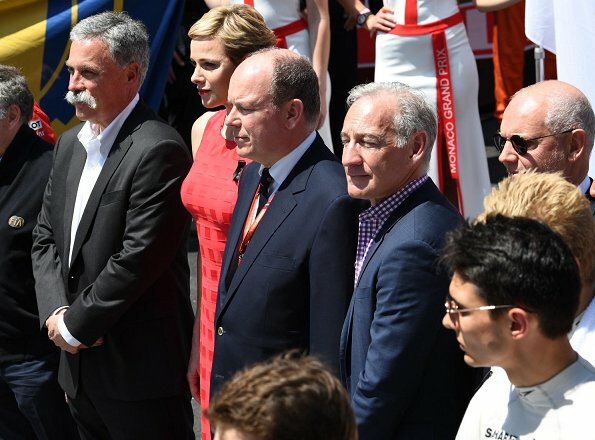 On May 27, 2017, Prince Albert II of Monaco and Princess Charlene of Monaco visited paddock area of the 75th Monaco FIA Formula One Grand Prix held at the Circuit de Monaco in Monte Carlo. 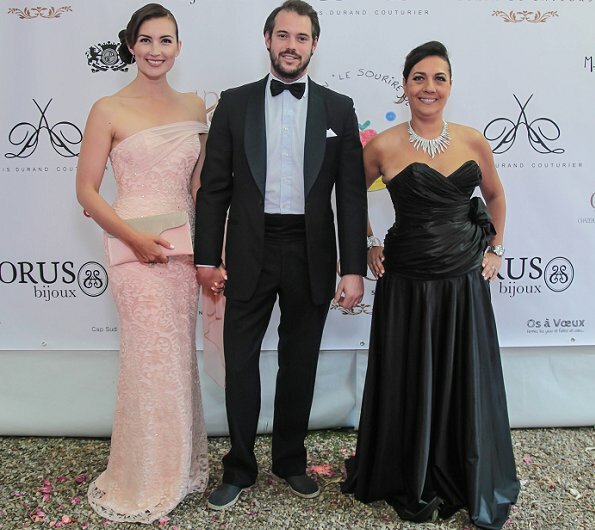 In the previous days, Prince Félix and his wife Princess Claire of Luxembourg attended a charity event for the benefit of Sjögren-Larsson Syndrome patients held as part of the 70th Cannes Film Festival in Cannes. This charity event was organized by Le Sourire de Lucie. 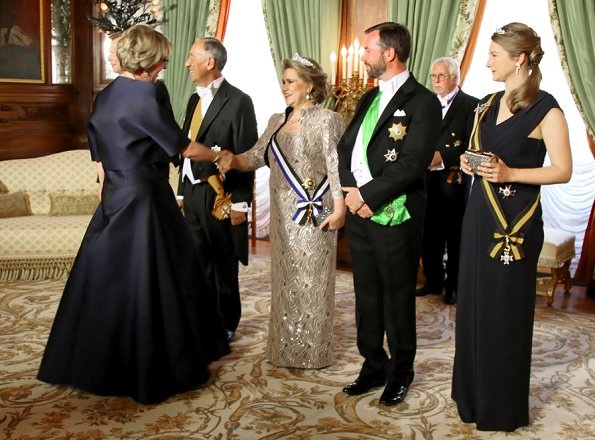 Prince Félix and Princess Claire are honorary presidents of the organisation. 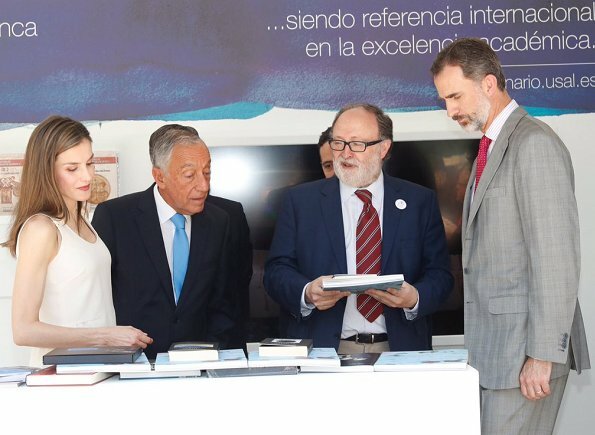 King Felipe VI, Queen Letizia and Portuguese President Marcelo Rebelo de Sousa visit the 76th Madrid Book Fair at Retiro Park on May 26, 2017 in Madrid, Spain. The fair that is organized by the Madrid Books Sellers Guild and the Federation of National Associations of Publishing Distributors counted this year Portugal as a guest country. Scottish Formula 1 pilot David Coulthard and Australian former Formula 1 pilot Mark Weber came to Monaco in order to interpret Formula 1 Grand Prix for English television channel Channel 4. Prince Albert and Princess Charlene of Monaco took part in the shooting of this short film for Formula-1 Grand Prix which will be broadcasted on the English television channel on Sunday. Princess Charlene wore a striped poplin jumpsuit by Federica Tosi. 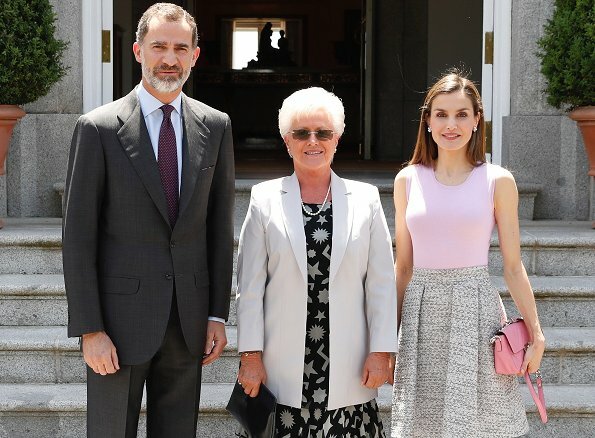 Yesterday, on May 25, 2017, King Felipe of Spain and Queen Letizia of Spain held a lunch at Zarzuela Palace for Princess Muna Al Hüseyin of Jordan (mother of King Abdullah II of Jordan) who is making a private visit to Spain. Prince Joachim and Princess Marie of Denmark attended opening ceremony of Sternfahrt 2017 held at Sonderborg Citadel on May 25, 2017. Princess Marie gave a speech at the opening ceremony. During the opening event, a series of presentations such as fire fighting drills and emergency responses were made. Sonderborg hosts the biggest international meeting of European Fireman in 2017. 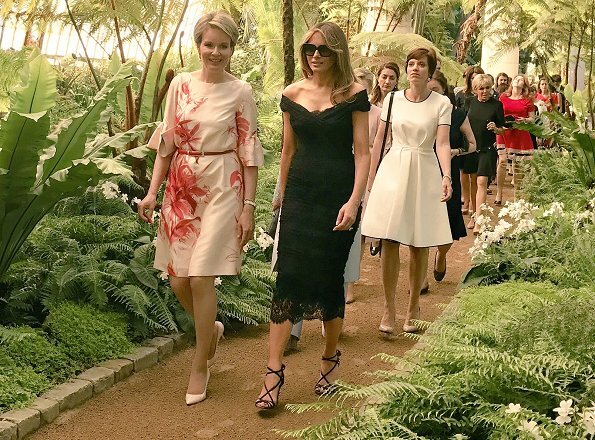 Queen Mathilde of Belgium held a dinner for spouses of NATO members' heads of State and government at the Castle of Laeken on May 25, 2017 in Brussels. NATO countries' heads of states and governments gather in Brussels for a one-day meeting. 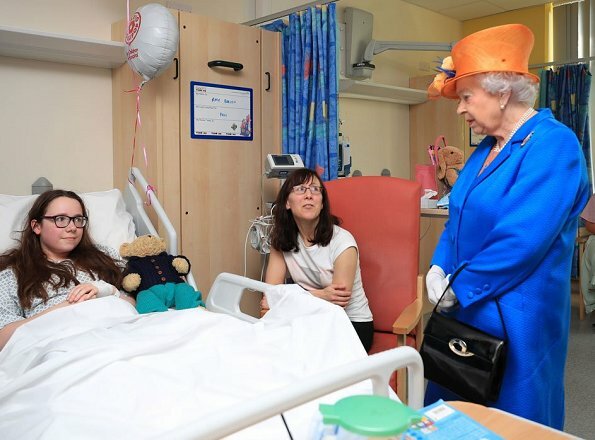 Queen Elizabeth visited the Royal Manchester Children's Hospital on May 25, 2017 in Manchester to meet victims of the Manchester Arena terror attack and to thank members of staff who treated them. Queen Elizabeth also, visited the Lower Castle Hayes farm, one of the Duchy of Lancaster Farms in Staffordshire. 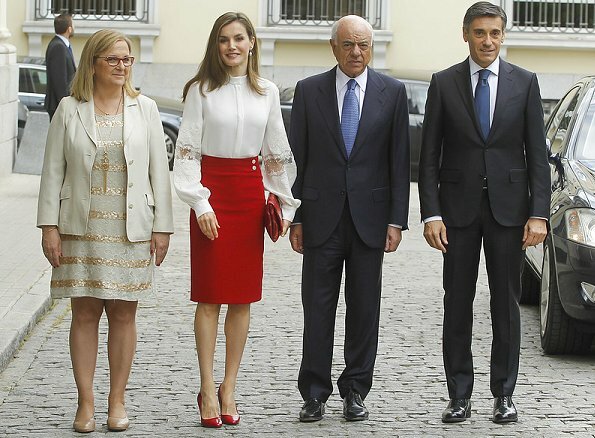 Luxembourg visit of President of Portugal, Marcelo Rebelo de Sousa ended on May 24 with a traditional return dinner. 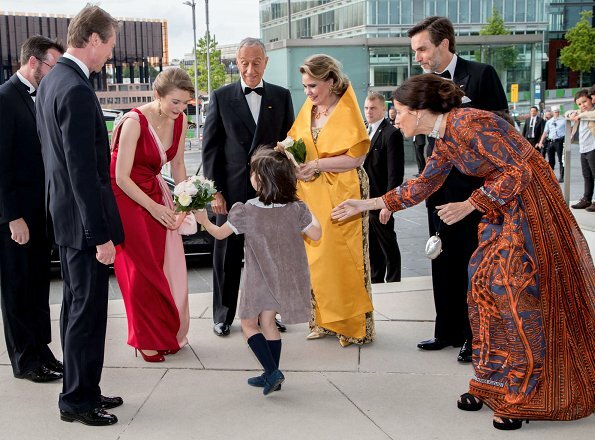 Grand Duke Henri and Grand Duchess Maria Teresa, Hereditary Grand Duke Guillaume and Hereditary Grand Duchess Stephanie attended the dinner and the concert held at Philharmonie concert hall in Kirchberg district of Luxembourg. Princess Stephanie wore a red dress by French fashion house Paule Ka. 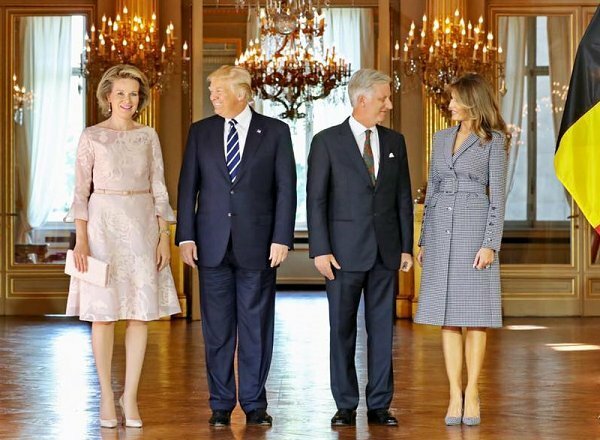 King Philippe and Queen Mathilde of Belgium, US President Donald Trump and US First Lady Melania Trump attend a reception at the Royal Palace on May 24, 2017 in Brussels. President of The United States of America Trump is on a two day visit to Belgium, to attend a NATO (North Atlantic Treaty Organization) summit Brussels. On May 23, 2017, Queen Rania attended the 2017 graduation ceremony at the Amman International Academy (IAA) in Amman, Jordan. Founded in 2004 in Amman, Jordan, the International Academy - Amman is an independent, co-educational, Pre-K to Grade 12, day school and one of Queen Rania's organizations. President of Portugal, Marcelo Rebelo de Sousa is presently in Luxembourg for a two days visit. 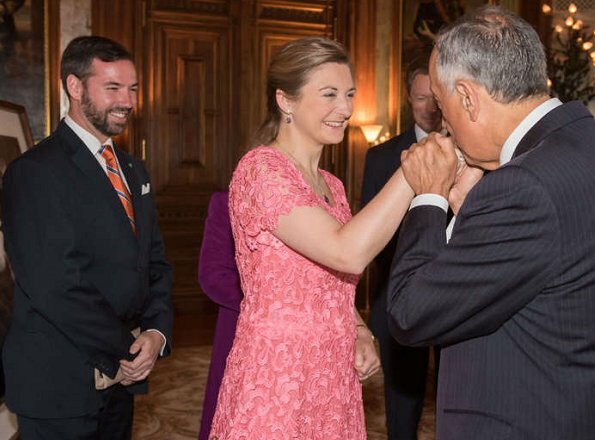 Grand Duke Henri and Grand Duchess Maria Teresa, Hereditary Grand Duke Guillaume and Hereditary Grand Duchess Stephanie welcomed President of Portugal Marcelo Rebelo de Sousa at Grand Ducal Palace. Then, Grand Duke Henri and Grand Duchess Maria Teresa went on a sightseeing tour with the President of Portugal. On May 23, 2017, Crown Princess Mary attended Lego backpack charity event in Billund town, held by cooperation of Lego Group and Mary Foundation, and helped packaging of backpacks. With that charity event held every year, materials packaged in backpacks are sent to needers who live in Danish crisis centers and shelters. 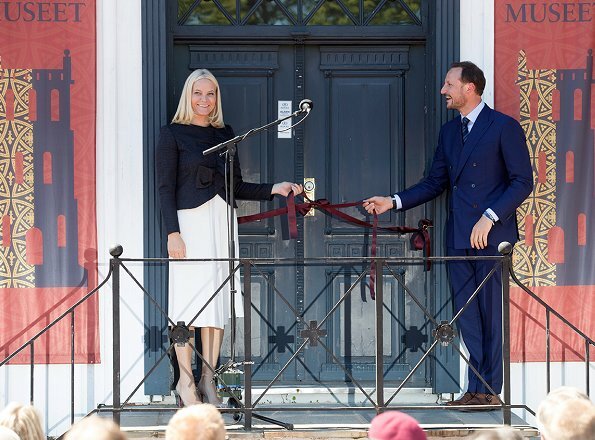 Crown Prince Haakon and Crown Princess Mette Marit attended opening of an exhibition and a museum in Tonsberg, which include portraits of "King Hakon IV Hakonsson" who is a former king of Norway. 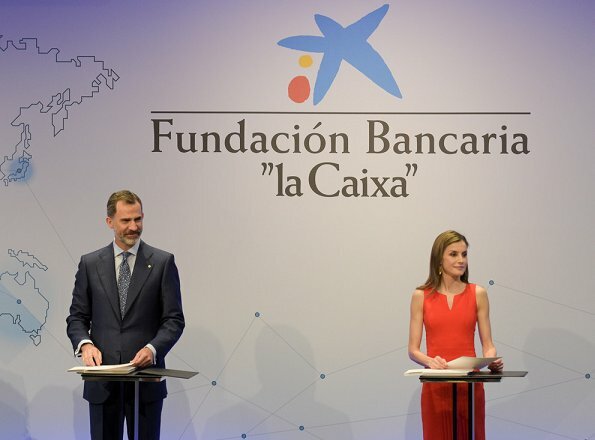 On May 23, 2017, King Felipe and Queen Letizia of Spain presented to the receivers the 'La Caixa' Scholarships with a ceremony held at the La Caixa headquarters in Barcelona, Spain. The scholarships will help students to study their postgraduate courses abroad. 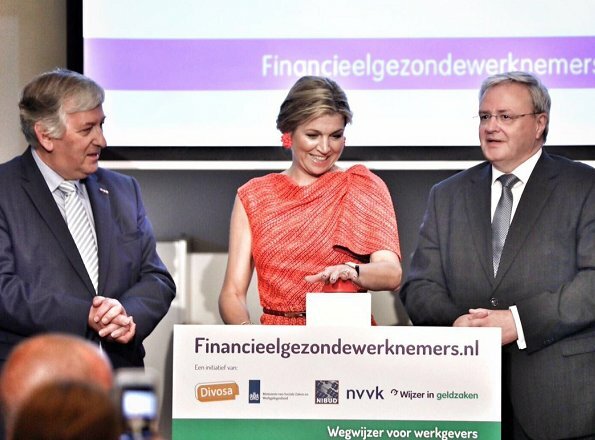 Queen Maxima of The Netherlands after the launch of the employers website, attends the annual symposium of platform Moneywise (Wijzer in Geldzaken) held at The College Hotel on May 23, 2017 in Amsterdam. The Queen is honorary chairwoman of the platform. 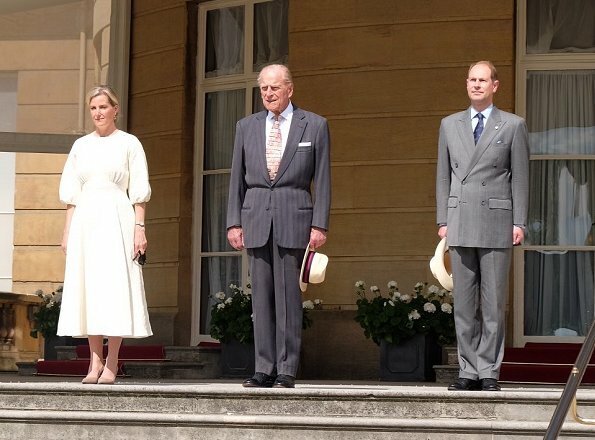 The Queen wore Natan dress. Yesterday morning, Crown Princess Mary attended opening of the European Emergency Medical Services (EMS2017) congress in Copenhagen. EMS2017 is organized by EMS Copenhagen, The Capital Region of Denmark in cooperation with Laerdal Foundation. 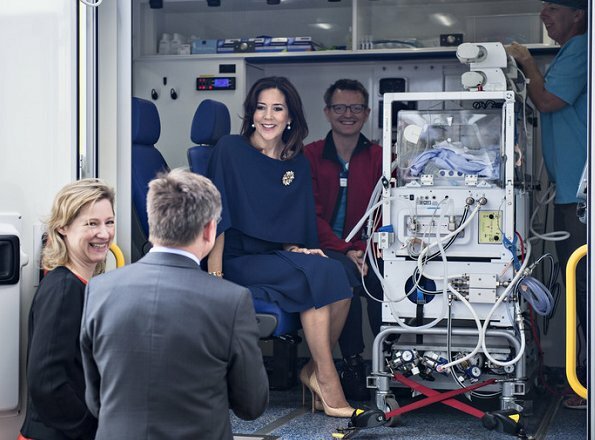 Crown Princess Mary, is patron of EMS2017. 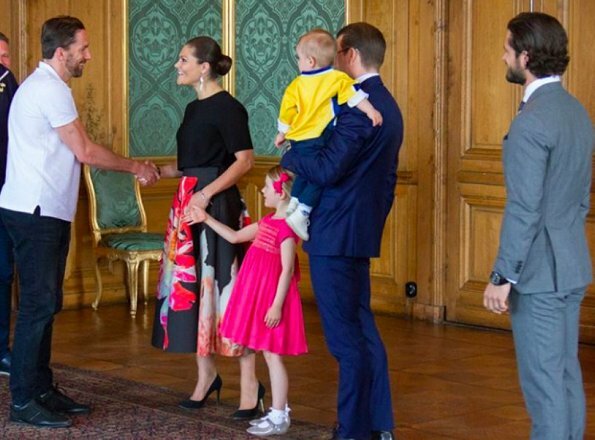 On May 22, 2017, Crown Princess Victoria, Princess Estelle, Prince Daniel, Prince Oscar and Prince Carl Philip met with the Sweden men's national ice hockey team (Tre Kronor or Three Crowns) at the Royal Palace in Stockholm, Sweden. Sweden beat Canada in Sunday final of the World ice hockey Championships in Germany. Catherine, Duchess of Cambridge visited the RHS Chelsea Flower Show 2017 at the Royal Hospital Chelsea in London. The RHS Chelsea Flower Show, sponsored by M&G Investments, is the place to see cutting-edge garden design, new plants and find ideas to take home. 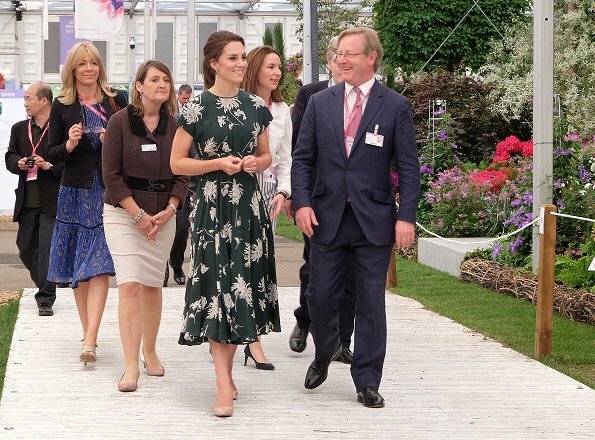 The Duchess wore Rochas Floral Printed Silk Crepe de Chine Dress. King Carl XVI Gustav and Queen Silvia of Sweden is currently making a 3 days official visit to Indonesia. 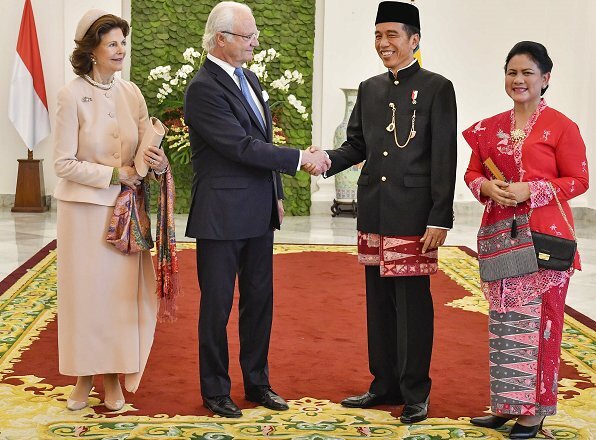 On the first day of the visit, King Carl Gustav and Queen Silvia met with Indonesian President Joko Widodo and his wife Iriana in Bogor on May 22, 2017. This season AS Monaco FC completed the French Championship 1st league as the champion. 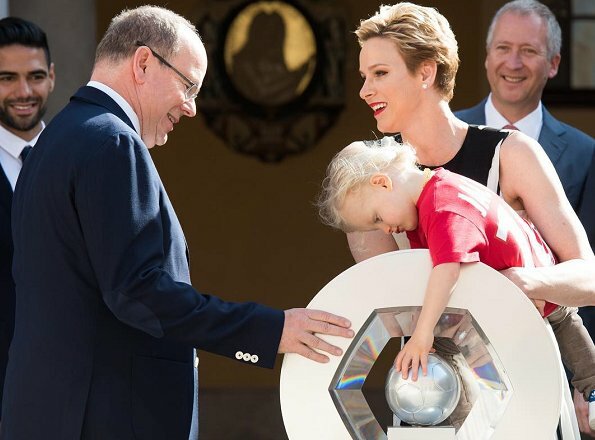 On the occassion of that success, Prince Albert of Monaco and his wife Princess Charlene held a congratulation and celebration reception at Monaco Principality Palace for AS Monaco FC players, their families and club executives. Prince Jacques wearing an AS Monaco shirt also attended the reception. AS Monaco FC became the champion in the French Championship for the eighth time. Charlotte Casiraghi attended the Women In Motion by Kering Awards dinner at the 70th Cannes Film Festival at Place de la Castre on May 21, 2017 in Cannes. Kering and the Festival de Cannes presented the 2017 Women In Motion Award to Isabelle Huppert. The Young Talent Award is presented to Maysaloun Hamoud. Queen Rania of Jordan received an award last night at the 2017 Fashion for Relief charity gala held within the scope of 70th Cannes Film Festival in France due to her humanitarian efforts towards children caught in conflict. Around 500 guests, including influential film makers, celebrities and philanthropists were present at this year’s event.